Today I had every intention of heading to my meeting in London and then heading home to work from the comfort of my sofa. 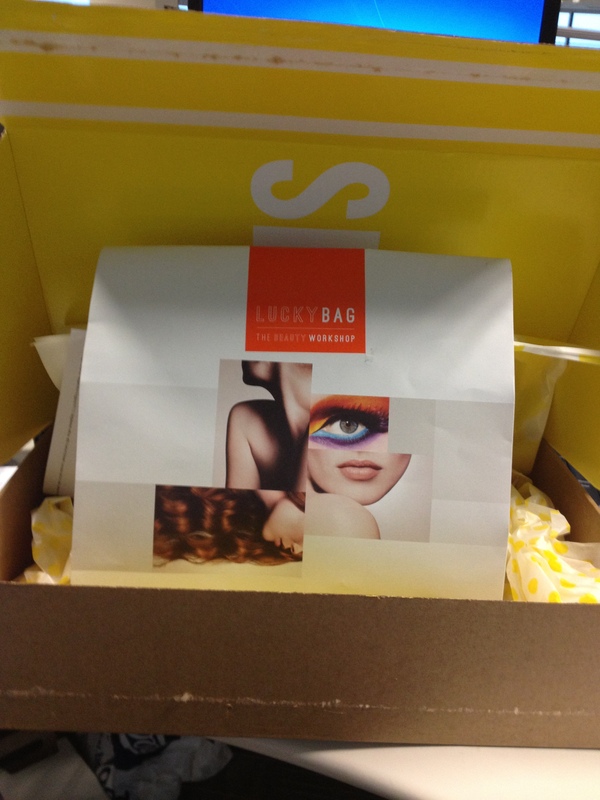 All this changed however when I received a text telling me my Selfridges Lucky Bag had been delivered to the office. It would be sacrilege to leave my lucky bag waiting in the office all weekend, so I took a detour to grab it on my way home. With the treasured box in my mitts I eagerly tore open the box, remembering to take some dodgy iPhone snaps on my way. However once my bag was opened the excitement ended. Inside my bag I found the following…. Perhaps I had inflated expectations, but when the likes of Selfridges offers a Lucky Bag I don’t expect to find tissues as one of the gifts, though I’m sure they are very nice tissues. Also of the 6 items in my bag only 3 are actually stocked on the Selfridges website, the rest produced this wonderful message when trying to suss out their value. Thankfully Google was able to help with the missing prices. So what was my Lucky Bag worth? A grand total of £17.93, I’ve broken down the exact product prices below. Sure I got more than the £15.00 I paid, if you don’t include the £4.95 postage, but would I really use many of the products? Probably not. *All sample size costs have been worked out based on the cost of the full price items. I don’t mean to be a grump about these things, but seriously when you’re buying a Lucky Bag from Selfridges you expect the items to be from Selfridges, right? 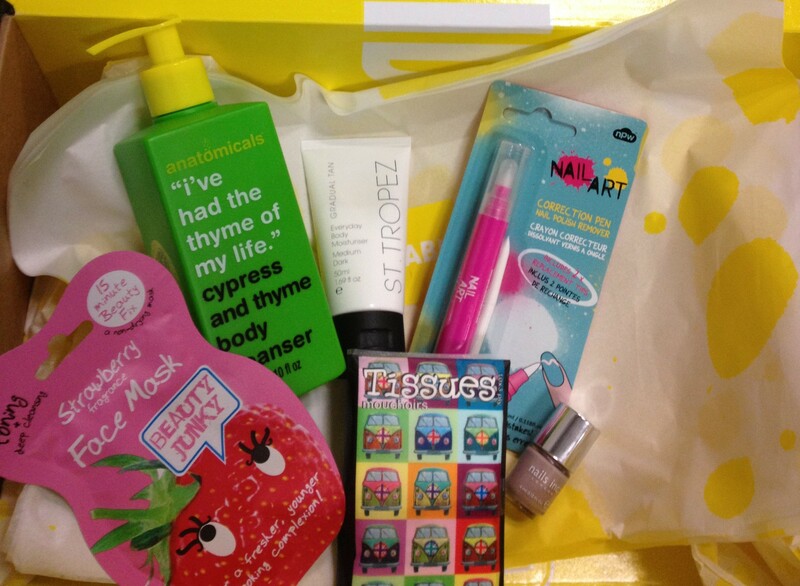 Did you order one of the Selfridges Lucky Bags? Would love to know what you got in yours if you did. Hi, Great post – interesting to see how much your bag would have actually cost, will have to try and work that out with ours. Sara was not very excited with the tissues she received either. The Eve Lom Rescue Mask was definitely the best product in my bag, I wasn’t too excited by the candy. Guess the word lucky will work for one or two of the products but not the whole bag, will be interesting to see what other people get. Wow that’s interesting, must be a lot of unhappy customers, good luck getting yours returned. I was incredibly disappointed with my bag (I have a review going up on the 21st) and I’ve yet to hear from somebody who was actually pleased with the contents of their bag. I guess I was expecting some higher end/luxury samples in there. I was really, really annoyed when I tried to total the contents of my bag, only to find none of it was actually stocked on the Selfridges website, how annoying? I’m surprised Selfridges aren’t just returning the money anyway (without asking for the products back) considering how many people they pissed off. I’m not returning mine. I’m just going to give most of the products I got to my baby sister for Christmas. I’m sure she’ll appreciate them as she’s new to the beauty world, but for me, it just didn’t cut it. I totally agree and can’t believe that Selfridges think it’s ok to provide products they don’t sell in their lucky bags. It would be like buying a lucky bag from Cadburys only to find it only had skittles in it. Definitely poor form on Selfridges’ part. I also coundn’t find half the products ont he Selfridges sit to work out the value, but I’m almost glad to here it’s a problem others are having rather than just me not doing it right! Hey hun. 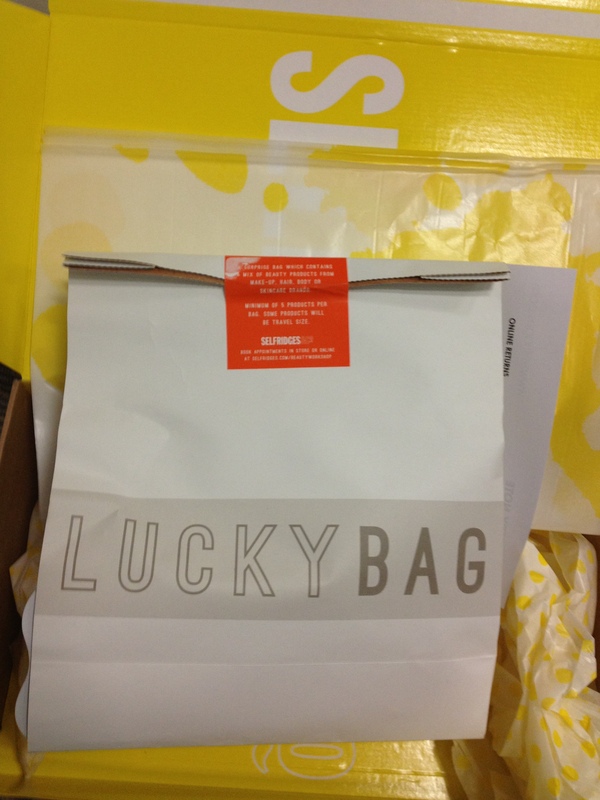 Thanks for your comment on my Selfridges ‘Lucky’ bag post. I didn’t think they could get much unluckier than mine, but now that I’ve read your post, and the comments that follow, it looks like Selfridges really did rip most of us off.